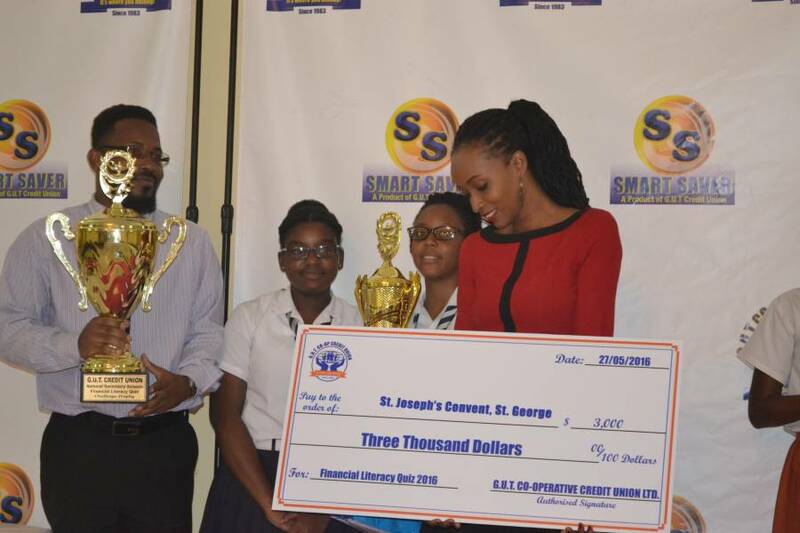 For the second year in a row, the St Joseph’s Convent St George (SJCSG) has emerged the winner of the GUT Credit Union National Secondary Schools Financial Literacy Quiz. The finals, held on 27 May at the Grenada Trade Centre Annex saw the SJCSG team pitted against their sister school, St Joseph’s Convent St Andrew. Both teams ended round one on equal points. However SJCSG pulled ahead in round 2 and narrowly won the match with a 5-point victory over SJCSA. The final score was 50–45. 17 secondary schools participated in the quiz, including Bishop’s College from Carriacou. As champions ,the St Joseph’s Convent St George received the winner’s trophy, a challenge trophy, and EC$3,000. The team members and teaching coach received $1,000 each. In 2nd place, the St Joseph’s Convent St Andrew received a trophy and EC$2,000. Each team member and coach received $750. 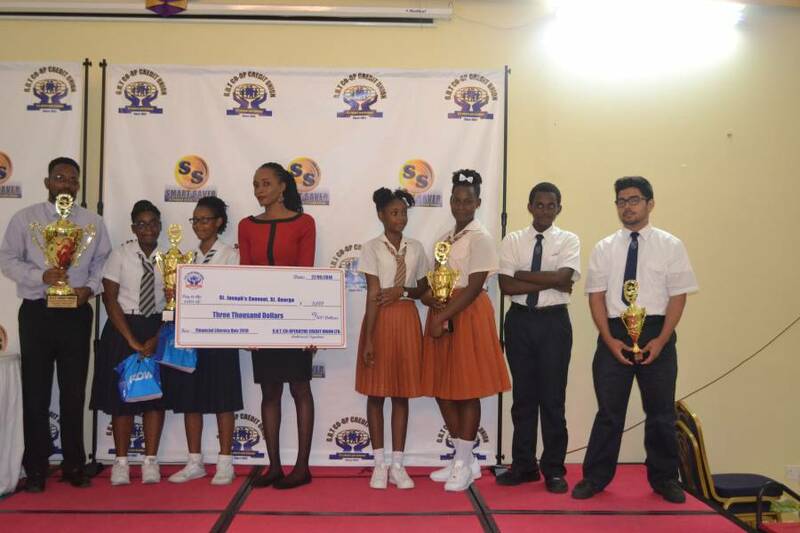 The Westmorland Secondary School placed 3rd and received a trophy and EC$1,000. The team members and coaches received $500 each.